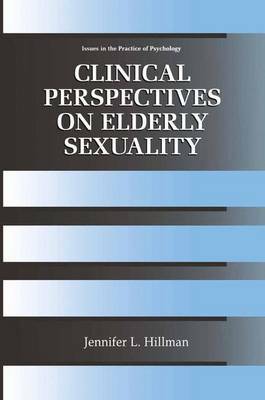 Throughout my clinical training and practice, I have been surprised by the number of times that sexual issues have emerged as an unexpectedly central feature in my work with older adults. I can vividly remember my own internal reaction on hearing one of my elderly female patients tell me that she was date raped a few years after the death of her elderly husband-when she was 68 years old. I can see in my mind's eye the blood splattered on the floor of an inpatient unit from an elderly man who smashed his arm through a window, furious that his antidepressant medication made it impossible to climax through masturbation. On a much less dramatic but equally important note, I think about the elderly amputee who told me softly about his fears of resuming sexual activity with his wife of 25 years. I also think about the elderly woman whose inability to take herself shopping to find fashionable, comfortable clothes to fit over her hunched shoulders and large breasts helped precipitate a serious depression. In sum, I learned early on that elderly sexuality is not just about how many times a week someone makes love. It is my hope that sharing these experiences and introducing the related theories, research, and interventions will assist other clinicians in dealing with these often challenging and clinically demanding situations. Without my patients, this text would not have been possible.